BERKELEY, Calif. -- A driver has died after a vehicle collided with an AC Transit bus in Berkeley this morning. Berkeley police say a red sedan was traveling southbound on California Street when it T-boned the bus. 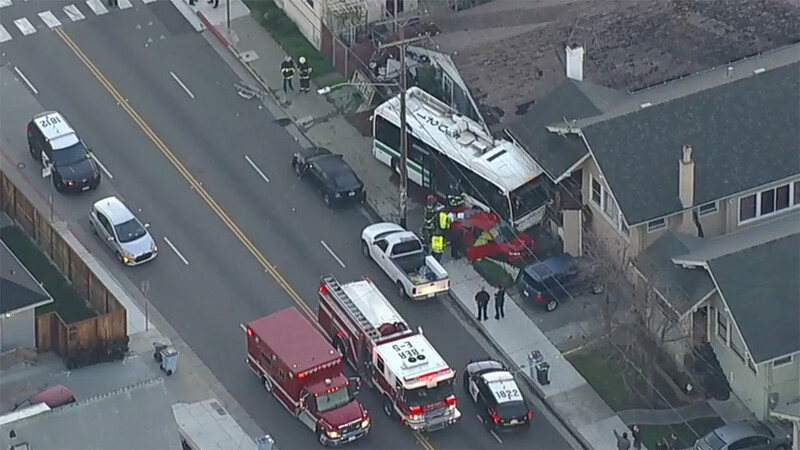 The bus and the red sedan then crashed into two homes at California Street and Ashby Avenue. The driver of the red sedan has died, police said. The driver of the bus and one passenger on board were not injured, according to authorities. The house was occupied at the time of the crash and no residents were injured, police said. Streets have been blocked off in the area.